The sun is shining in the American South, and it’s mostly going to waste. Meanwhile, in rainy Oregon, what little sun penetrates the mist is collected and stored. This is the paradoxical solar energy situation in the United States: it’s often those states that get the least sunshine that take the most advantage of it. They do so by having supportive policies, like financial incentives for people who install solar panels and grants to install those panels. This is all according to a report from the Frontier Group and Environment America, who admittedly have a pro-environment/solar agenda. But their findings are based on solid data. Those states with pro-solar policies also produce more solar energy, regardless of how much sun they get. 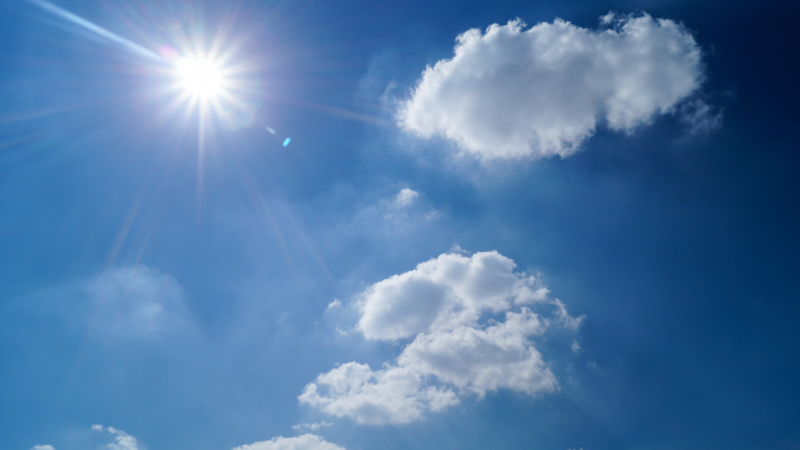 Some states like Hawaii and California get an immense amount of sun and use it well. 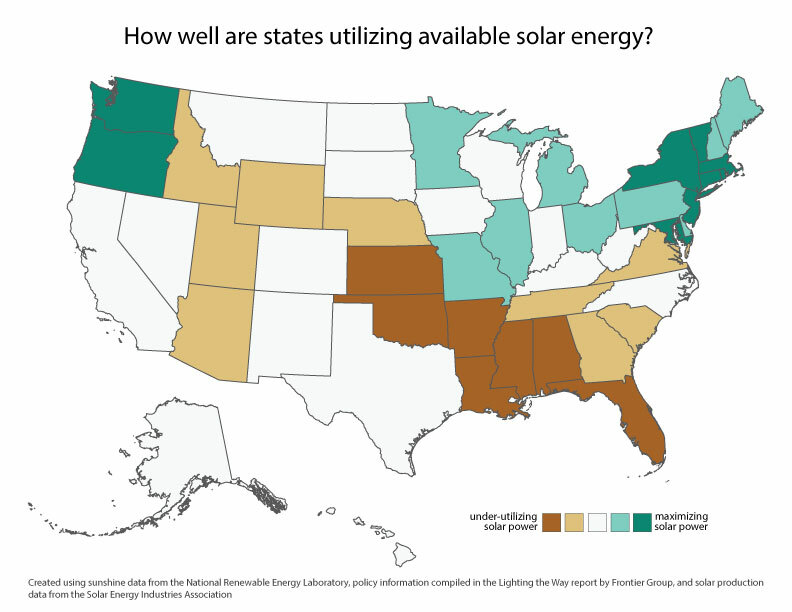 But a number of sunny Southern states aren’t producing nearly as much solar power. Underperforming states seem to be struggling because of policy problems. Florida, for instance, is fighting a thus-far-losing battle against utility companies and the state government. Both have been publicly against solar power. At the opposite end of the spectrum, Vermont produces far more solar energy than would be expected given its low sunshine levels. This is largely due to the policies that the state governments have put in place to promote solar power, with the support of the public. New Jersey and Massachusetts have succeeded for similar reasons; the state governments require utility companies to meet specific renewable energy standards. There are a few more complex cases too. One is Arizona, which produces a lot of solar energy, but is embroiled in a battle between the utility companies and the citizens over whether individuals with their own solar panels should pay fees. Texas has similar issues. The state government has made few policies in support of solar power, forcing local government action to lead the way instead — as a result, Texas just made the top 10 for total solar power capacity. It’s only because of its enormous population that it doesn’t make the top 10 on a per capita basis. Solar energy is just one source of the United States’ power, but the data suggest that it has the potential to be much bigger component than it is now. Each and every state has the potential to produce more solar energy than it uses in a year. That estimate is from the (again, potentially biased) Frontier Group report, but it’s based on data from the National Renewable Energy Laboratory and the Energy Information Administration. And all this suggests that the future of solar power could be very bright — literally and figuratively.